What is Smart Electric Switch ? 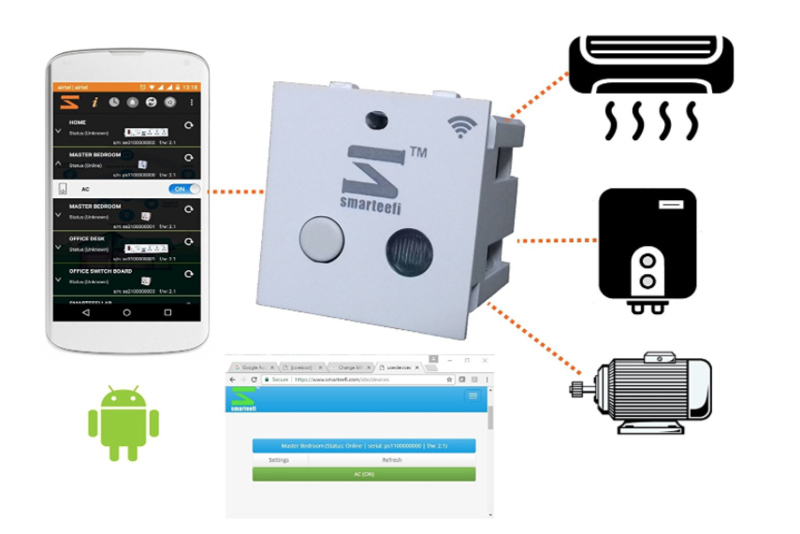 A Smart Electric Switch is an electrical switch that can Turn ON/OFF your POWER appliances (Ac, Geyser, Heater, Water Pump, Washing Machine) anytime-anywhere using mobile application or web browser on your desktop. How is Smart Electric Switch Helpful ? Well, A smart electrical switch may assist you in more ways than you can imagine outright. Many a times, we forget to switch of A/C , heater and other devices while going out of the room and remember later. The not so smart devices remain switch ON and waste electricity, add up your utility bill. 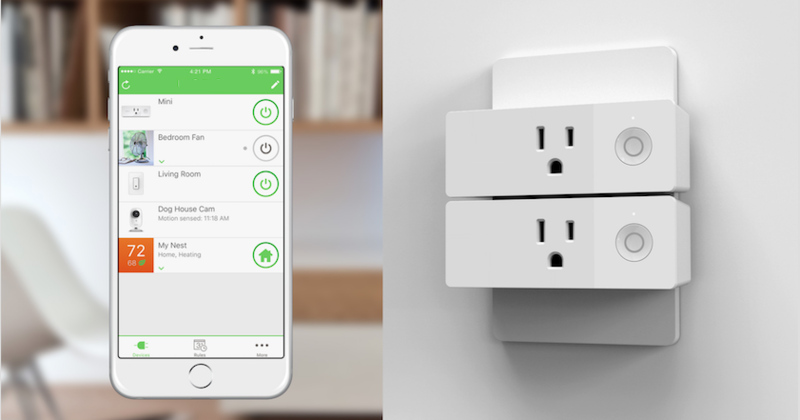 Smart Switches can help you save on bills as they give you ability to Switch ON /OFF from anywhere-anytime. IF you are of the type that usually forgets to switch OFF A/C and other devices while leaving room and then wonder about that whether you switched off the A/C or not. Then the smart switch can help you save that worry too, you just need to open the mobile app and check device status if it ON, simply switch it off. Smart switches can help you add comfort to your living. Like when you are about to arrive at your home with your guests and need the house to be cool. You can switch ON the AC from your car and have a cooled up room at your service. Majority of such switches are also pair-able with smart devices like Amazon Alexa Echo. So, you can basically command your Alexa Echo to switch on/off the almost anything, even things which are not smart like Fans/lights etc. How Smart Electric Switch function ? 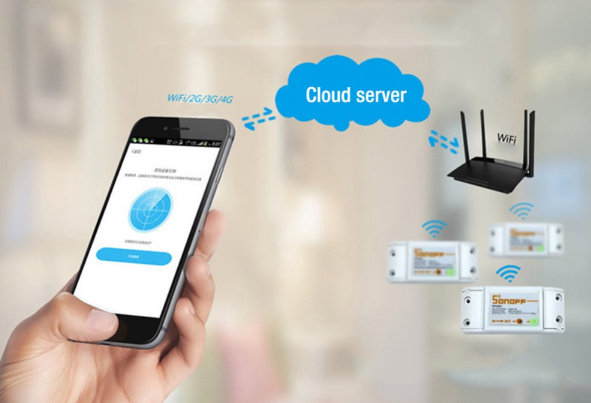 The Smart Switches get connected to your wifi and through that into their cloud server. When you download the APP and register the switch then both you mobile and the switch get connected to the Cloud server. And so now you can command your switch ON/OFF from your mobile. Are these available in India ? Yes, they are available in India with less choices. You can purchase a smart electric switch from Amazon and configure the same reading user manuals.